In Newsletter 95, I wrote about how pathologies often don’t become symptomatic until inefficiencies get to be too bad. Here is a perfect example of a guy who has basically learned how to work around a pathology to remain competitive at a high level. New Twist Keeps Dickey’s Career Afloat You can bet that he’s got a lot of efficiency working in his favor. Thanks, Paul Vajdic, for passing this along! Click the link below to view an hour-long interview I did on the Audrey Hall Show alongside Rich Gedman (former Red Sox catcher and current manager of the Worcester Tornadoes) and Bunky Smith (head coach of Framingham's American Legion Team) on the topic of youth baseball training. 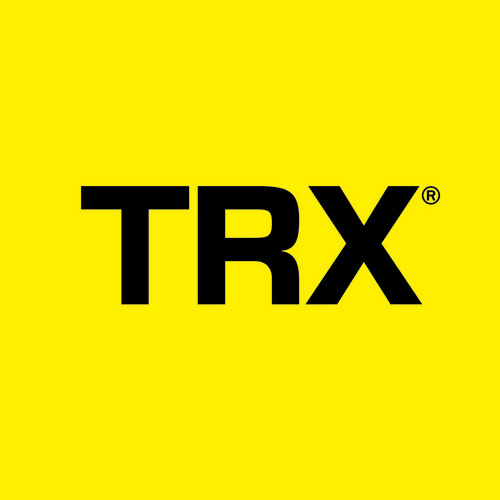 Q: If you were to introduce someone to resistance training for the first time, and were interested in teaching them to bench press properly with the elbows tucked, which bench grip would you have them use? In other words, everything else equal, what are your basic guidelines for optimum bench biomechanics? A: This is one area in which true specificity might take a bit of a backseat in the short-term. If we’re dealing with a true beginner, I’m going to start with dumbbell pressing and push-ups (which, incidentally, everyone thinks they can do perfectly – yet 95% of the lay population completely butchers). With a push-up, we can build some solid lumbar spine and scapular stability while optimizing the angle of the upper arm to the torso (about 45 degrees). If it’s too hard from the floor, we just elevate them a bit by doing the push-ups off the safety pins in a power rack. I'd also teach them a neutral grip dumbbell bench press first. My experience has been that people who are trying to learn the elbows-tucked style of benching do best with a lot of neutral grip pressing as their assistance work. As a next step, at Cressey Performance, we’ll throw in a multi-purpose bar, which allows people to bench with a neutral grip. You won’t see them very often in gyms, but they’re absolutely awesome. There is more instability, so it teaches the lifter to grip the bar like crazy and optimize scapular stability. You can’t shoot a cannon from a canoe. After 4-6 weeks of this stuff, beginners can start to dabble with the straight bar – and they usually pick it up really quickly. 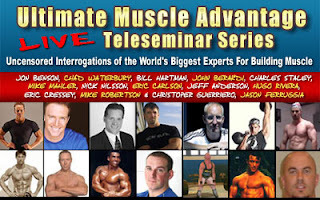 Over the past few months, personal trainer and author Vince DelMonte has rounded up some of the premier strength, nutrition, bodybuilding, and rehabilitation experts to take part in the FREE Ultimate Muscle Advantage Teleseminar Series. For six weeks, starting March 3, this elite team – including the likes of Bill Hartman, Chad Waterbury, John Berardi, Mike Robertson, Charles Staley, Jason Ferruggia, and I – will cover a variety of topics of interest to you. There will be two calls per week. The Overlooked Component of Programming? I often get approached by people asking me to review their training programs. They generally list several days, each with several exercises and set/rep schemes. My response? “Okay, so there, you’ve got one week. What happens when you do that for a few weeks, then hit a plateau, or wind up just feeling overworked and unmotivated?" With that question, I've basically asked them indirectly if they understand how important it is to fluctuate training stress and effectively incorporate deload phases. In the overwhelming majority of cases, people look at me like I have two heads - so I decided to put together a special report on the subject to shed some light on the subject and prove to everyone that I'm not nuts. Click here to order "The Art of the Deload" for only $19.99 $12.99 using our 100% secure website. PS - Yes, you read that right: The Art of the Deload is now 35% off the regular retail price; don't delay, as this order won't be around forever. Click here to order!